Liz is an Affiliate of the Chartered Institute of Legal Executives and is a Chartered Legal Executive lawyer. 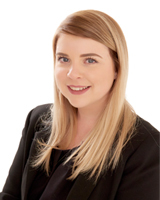 Liz deals with all aspects of residential conveyancing and is highly regarded by her clients and colleagues for the level of service she provides. I used SME Solicitors through strong recommendation from professional friends that are in the property business and SME have always been my parents solicitors – I was not disappointed. We had our up’s and down’s in the whole process but due to her very professional approach, always being on hand to speak to and answering emails straight away she made it happen with very little stress for me. It has all been down to Liz for all the reasons above. I would not hesitate to recommend SME solicitors and their services to anyone. "Firstly we wanted to thank you so much for all your work on the house we were so impressed by your thoroughness and professionalism. It made the whole experience so much easier and we really appreciate your help."